At 22, just out of college, Molly Birnbaum spent her nights reading cookbooks and her days working at a Boston bistro, preparing to start training at the prestigious Culinary Institute of America. She knew exactly where she wanted the life ahead to lead: She wanted to be a chef. Not being able to smell meant not being able to cook. Birnbaum dropped her cooking-school plans, quit her restaurant job, and sank into a depression. Season to Taste is the story of what came next: how she picked herself up and set off on a grand, entertaining quest in the hopes of learning to smell again. Writing with the good cheer and great charm of Laurie Colwin or Ruth Reichl, Birnbaum explores the science of olfaction, pheromones, and Proust's madeleine. She meets leading experts, including the writer Oliver Sacks, the scientist Stuart Firestein, andthe  perfumer Christophe Laudamiel. And she visits a pioneering New Jersey flavor lab, eats at Grant Achatz's legendary Chicago restaurant Alinea, and enrolls at a renowned perfume school in the south of France, all in an effort to understand and overcome her condition. 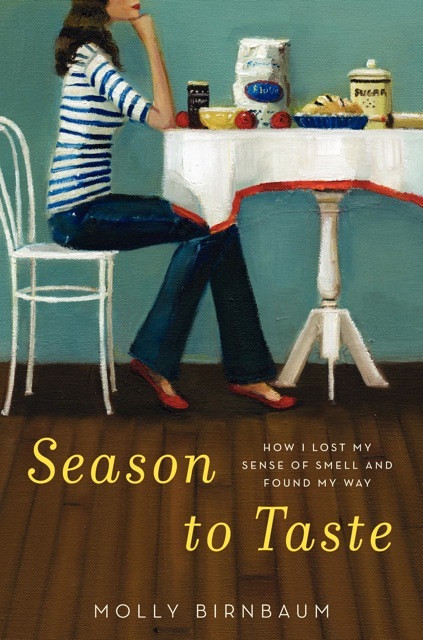 A moving personal story packed with surprising facts about our senses, Season to Taste is filled with unforgettable descriptions of the smells Birnbaum rediscovers — from cinnamon, cedarwood, and fresh bagels to rosemary, chicken, lavender, and apple pie — as she falls in love, learns to smell from scratch, and starts, once again, to cook.